Most car manufacturers now recommend oil change intervals of about 20,000 Km or more, approximately 3 times more than what used to be recommended in the 1980's for example. Fuels in some countries are not necessarily of the same quality than the ones used by the car manufacturer to make its tests resulting in a much higher oil contamination. Such intervals do suppose that drivers are checking the oil level and adding oil at least 3 or 4 times in between oil change intervals which is rarely true. The lower engine oil viscosities now required by modern engines to reduce fuel consumption do lead to a higher oil consumption through the oil vapors recycling circuits of the engine. Increased traffic and traffic jams let your engine run more time for the same kilometers. A maintenance schedule based on hours instead of km seem more and more adequate for engines. You might live on a hill, a mountain and drive daily on slopes which drastically reduces the lifetime of your engine lube oil. ​A low oil level does not trigger the low oil level sensor except too late when 1/3 or less of the engine oil is left in the oil pan! A low oil level does not trigger the low oil pressure warning signal except in some driving conditions like a steep slope or upon turning but this remains very brief and vanishes in a second. The oil level check dipstick remains then the only reliable mean to control and adjust the oil level. You have to use it preferably when the engine is warm but not hot i.e. after having stopped it for not less than 15 minutes and up to 1 hour. Noisy valve lifters when tackling a steep slope. Misfires and Superknock detection and related ODBII codes generation upon accelerating at low and medium speed, random cylinder. Stiff brake pedal with a reduced braking force when using the brakes the first time after turning on the engine. Low oil pressure signal triggered briefly (then vanishes) in slopes and turns. 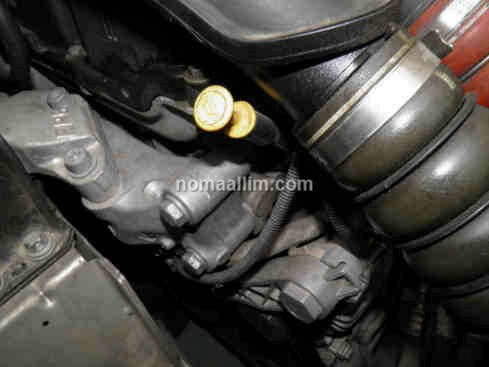 Eventually and at last, a low oil level indication if your vehicle is equipped with such device. Some dipsticks are confusing...and one has to wonder which mark is the right one! 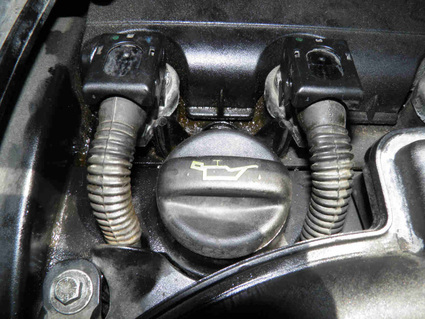 In general, there are 2 oil level marks one at the bottom of the dipstick and another a few cm higher. The engine oil has to reach the upper mark. 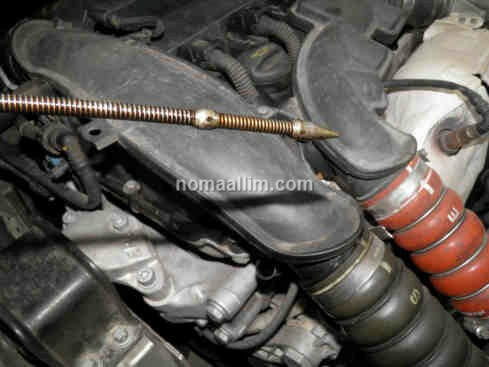 Dry first the dipstick with a tissue then make your measurement on a warm engine as stated above. Add oil little by little. Test with the dipstick until the upper mark is covered with oil.